You are here: HomeR&S Law Group, ACP ⁄ Family Law ⁄ After Divorce, Which Parent is in Charge of Important Childcare Decisions? After Divorce, Which Parent is in Charge of Important Childcare Decisions? 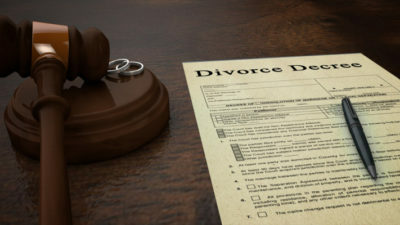 Parents who are looking to get a divorce often understand that they are both entitled to custody and visitation rights, barring any unusual circumstances. Other aspects of a post-divorce parenting arrangement aren’t always so clear-cut however. At R & S Law Group, LLP, we get a lot of questions about which parent can expect to be “in charge.” In other words, who gets the authority to make important decisions on various aspects of the child’s life? The answer to these questions can be found under one clear legal concept that is defined in the CA family law code: legal custody. For this post, we’re examining what legal custody is and how it differs from other types of custodies. We will also briefly look at ways in which you can protect your parental rights, especially when it comes to legal custody in CA. When people think of parental custody, their mind tends to gravitate towards what is actually known as physical custody. This type of custody refers to things such as parenting schedules, holiday schedules, visitation, and more. However, this is just half of the picture as the parent who holds most/all physical custody doesn’t necessarily always have the same amount of legal custody over his/her child. Matters involving education, including the school of choice and more. In many cases, parents share legal custody 50/50, giving each side an opportunity to weigh on these key issues. However, there are cases where the court determines that the child’s health and well-being is better promoted by having only one parent hold legal custody, especially if they feel that the other parent is not up to the task of providing for his or her child. If you’re involved in a dispute centering on legal custody of a child, you need to have your situation assessed by a family law attorney in CA. Whether you feel that the other parent should have his/her parenting role minimized for the well-being or safety of your child, or if the other party is not letting you have your say in any big-picture issues, your priority should be in recruiting qualified legal assistance. Remember that the seasoned attorneys at R & S Law Group, LLP are here to help. We offer free initial consultations, where we can take the time to learn about your specific situation before we work towards formulating a legal strategy that protects you and your loved ones. Call us at (949) 825-5245 to schedule your appointment today.